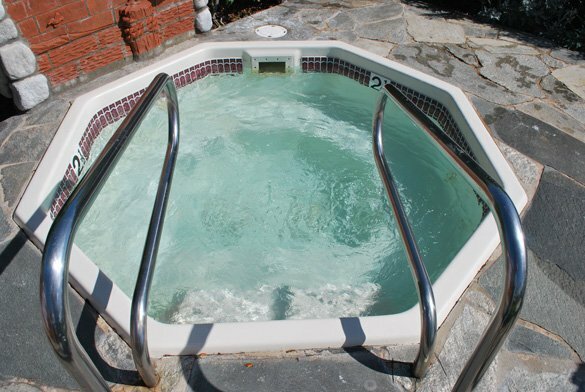 The manager at the Cardiff by the Sea Lodge in Cardiff, CA, 92007 near Encinitas was having problems with their inground fiberglass hot tub. Debris was shooting into the spa and settling on the bottom. The hot tub heater was also not working. 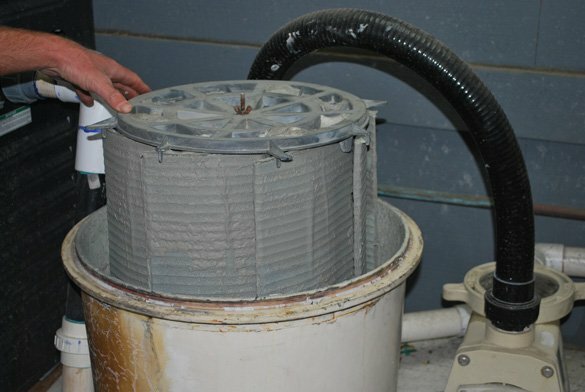 The San Diego area hotel needed the spa clean and heated to the proper temperature as soon as possible. 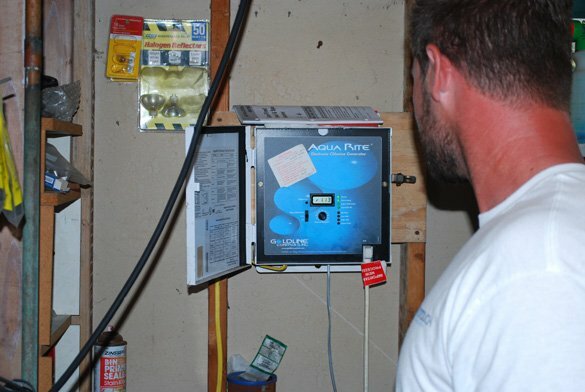 We sent our service and repair technician out to the commercial property that same day. After notifying management of our arrival we began inspecting the hot tub and the hot tub equipment. We could see filter D.E. and other debris blowing into the spa through the water return lines. To inspect the Pentair SMBW 24 D.E. filter grids, which we felt was the problem, we had to first drain the spa water. The pool equipment room is below the spa level. 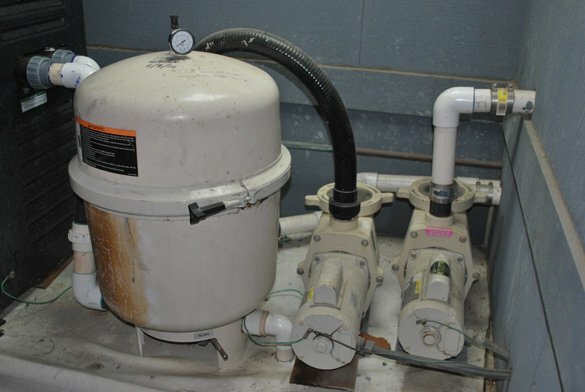 While in the equipment room we also noticed that the Hayward Goldline Aqua Rite salt system was not working. We took apart the spa filter and cleaned the filter grids so they could be inspected. Multiple grids were replaced because they had rips in the material. 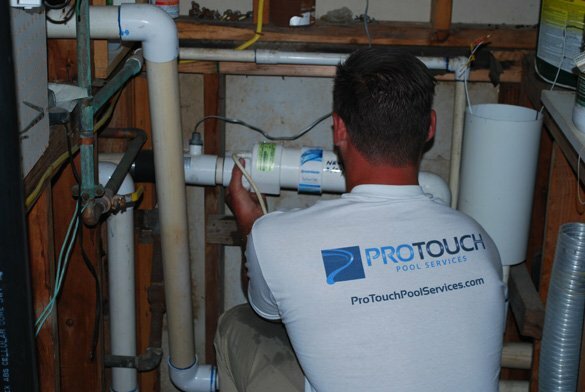 After the small filter was repaired we started to troubleshoot the salt water pool system. The salt cell generator was clogged with debris so we cleaned the cell and put it back together. 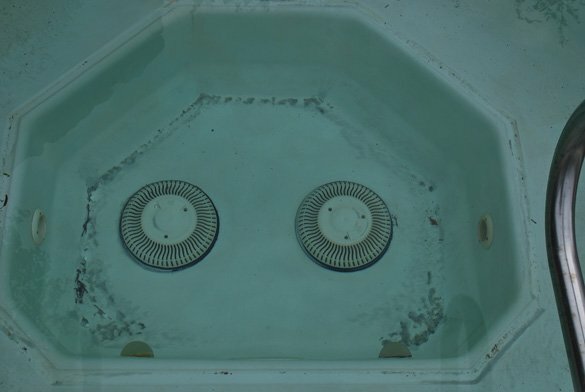 We then refiled the hot tub with fresh water. Salt and other start up chemicals were then added. The spa was reheated to the proper temperature and reopened for use the same day.